Some moms go out and stock a closet full of adorable little clothes. Some scrub and clean preparing diligently for their new baby. I, like a squirrel, preparing for winter, go into crazy savings mode. I don’t just save, but I avoid unnecessary spending. Sometimes it feels like I am a closet doomsday planner, but I crave that security for peace of mind. At best, financially preparing for a new baby can help you to stay home. On the other hand, if you find you can’t afford to stay home, then at least you can find ways to save money for eventually staying home, saving for college, or even family vacations. Whatever your reason, it’s financially wise to prepare for a new baby by saving. When you find out you are expecting, sit down and reevaluate all of your expenses. The sooner you do this, the better. 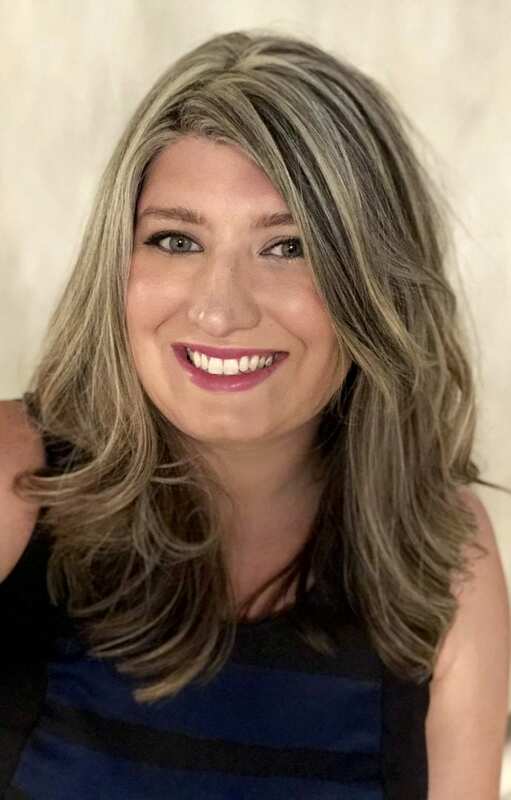 You may find yourself wanting to be a stay at home mom, needing the money for daycare, or even starting a college fund. After a thorough evaluation, the costs of working and child care, may mean it’s cheaper for you to stay home! I had a friend once share, after calculating the cost of daycare, it only cost $20.00 to keep his significant other home! Start by grabbing your household’s bank statements (2 months), credit card statements and all other bills. Write ALL of these bills down. Even with our second child, after going through our bills, there were tons of new ways to save. I found a reoccurring book reading subscription that cost $14.95 a month, a subscription to the Major League Baseball network, which my husband no longer watches, and an old hosting service, I no longer use (13.95 a month!). Shop around with different providers. I found that smaller, regional banks, credit unions, and businesses can sometimes offer more competitive rates on mortgage loans, insurance rates, etc. One way to help save money and prepare for having a baby is by refinancing. With Libby, I refinanced everything. I refinanced my student loans and transferred credit card balances, and then aggressively paid off debt. About a year after she was born, we found a better rate on our mortgage, and refinanced that. What’s nice about doing it sooner than later, you save more money. You can use this money to pay off more debt or save it. 1. Be careful if you refinance from a government loan to a private funded loan. You could lose important benefits that come a long with government student loans, such as income based repayment options. For me, it made sense because I was paying them off without any special hardships, my rate went down, and payment was lower. Weigh all options before refinancing. 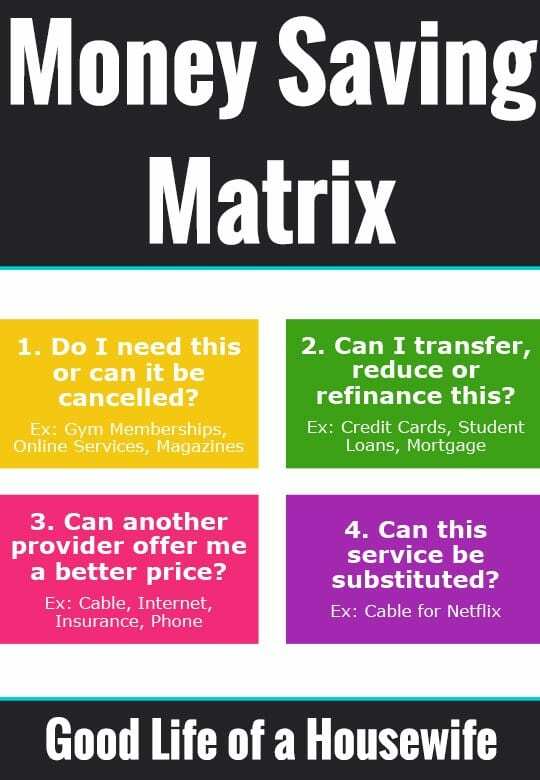 Once you refinance, you can’t get those options back. 2. Don’t let refinancing become a scapegoat for blowing your money. It’s easy for your new “found” money to slip through your fingers. 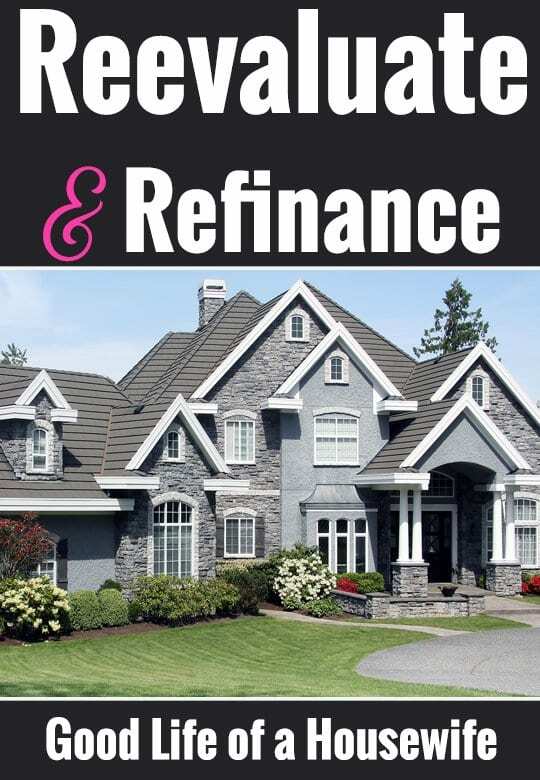 Keep track of how much money you saved through refinancing and make that money work for you. Fund your savings account or apply it to debt. If you have debt, and want to get out fast, then check out Dave Ramsey’s Total Money Makeover. He makes it simple for people who are not “money” people. The book will pay for itself in the money you save. Does your insurance company send you a statement showing what you had done and what they cover? Keep these in a folder. If you are unsure of what your insurance will cover call and ask!! I knew my insurance would cover four ultra sounds over the course of my pregnancy. I received a statement from my insurance company for each ultrasound showing it was covered. So, when I got a bill in the mail I was surprised. My doctor’s office incorrectly billed me, for an ultra sound, that was actually a non-stress test. Had I not questioned it, I would have paid a couple hundred bucks. A phone call is definitely worth the savings. 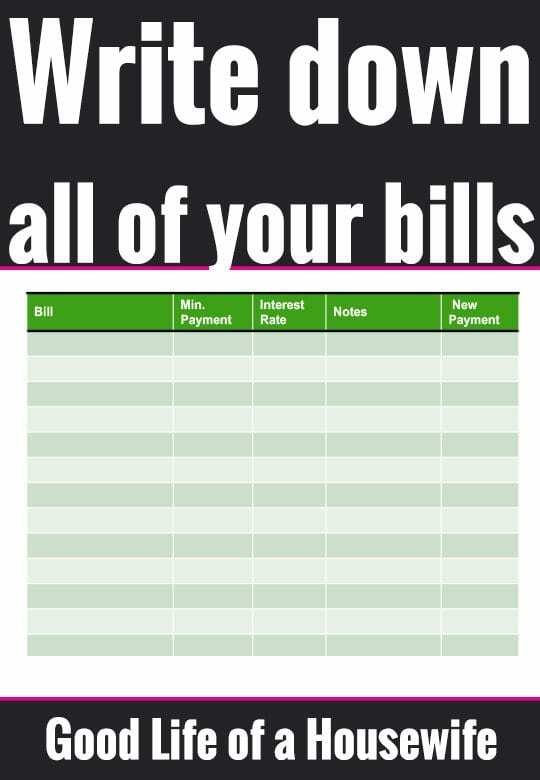 If you find yourself getting large bills you think should be covered or are unsure of, make the phone call. A lot of insurance companies are starting to supply breast pumps for free. If you plan on breastfeeding, a pump can come in handy if you have to return to work or have an issue with low supply. Find out if your insurance covers a pump. In addition, find out where you have to pick your pump up from. Prenatal vitamins are another item that may be covered by your insurance. You may find that generic prenatal vitamins are cheaper then the over the counter ones. At CVS, I also earned extra bucks for pharmacy prescriptions, which I used for couponing and to get free diapers. Some will argue that a diaper stockpile could be a waste of money. I have to disagree. Having a stockpile of diapers makes it so much easier then having to scramble out and overpay to pick some up. Through couponing, I saved on average 50-90% on Pampers and Huggies. 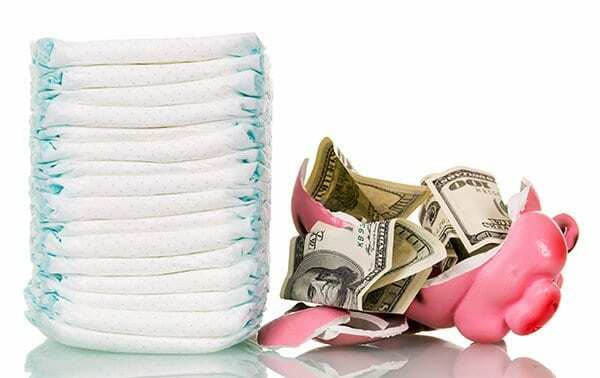 Before you start a diaper stockpile, checkout the basic information you should know. Once you get an idea of how to get started, checkout 7 ways you can start building your stockpile for cheap. If you read How to Build a Home Stockpile for Cheap (up to 60% off Retail Price) then you know I like to coupon. Couponing started out as an easy way to save a few bucks but then turned into a thrilling hobby. It sounds kinda dorky, but it’s become kind of a sport to me. 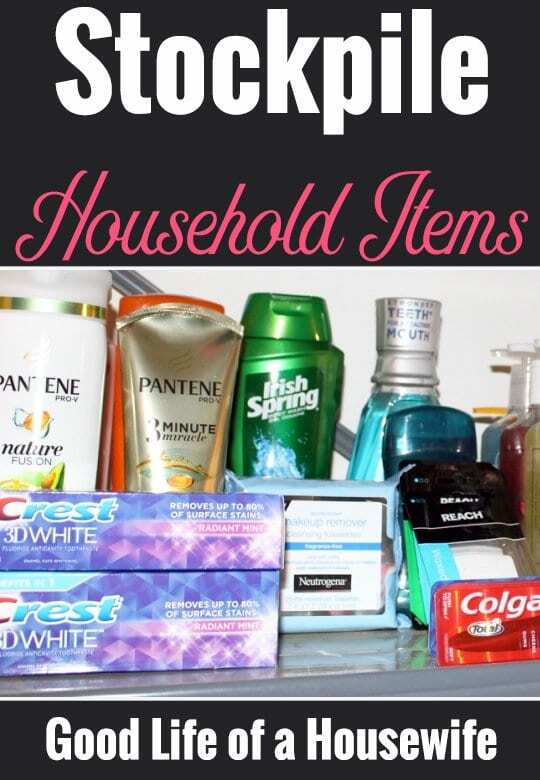 Having a home supplies stockpile follows the same principal, being able to pick items up at the best possible price. You don’t have to coupon to save money. Shop at the right time: Back to school and the New Year’s are great times for bottom low prices. Buy on the cheap: Dollar Tree(my fav) has all items for $1.00. Including shampoo, soap, etc. A stockpile doesn’t have to be an all or nothing. It might just be one or two extra shampoos, laundry soaps and dish soap. 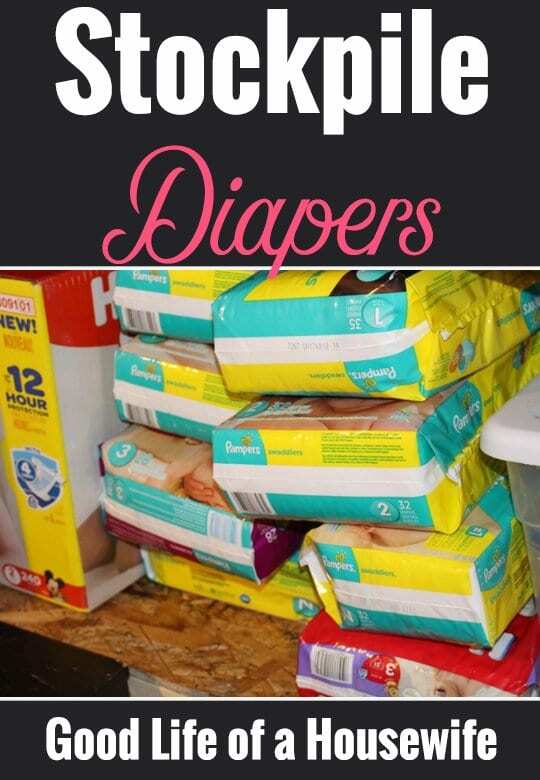 Here is a list of items to stockpile before baby arrives. When preparing for your newborn there are some lots of things you need. I was very fortunate that my mom threw me a huge, beautiful shower for Libby. There was no shortage of gracious gifts. With Lainey, I had to be more economical. We are living on income and most “new” items, had to acquired on a budget. If this is not your first child, or you’re on a tight budget, here are a few ways to save. Don’t buy “baby” decor for staple items, like lamps, rugs and curtains. Instead, opt for a few decorations and pictures, and cribs sheets that can make the room gorgeous, but be much less expensive. A baby crib set (bedding) is not necessary if you are trying to save. Babies can’t use the blanket for many months because of the risk of SIDs, a crib dust ruffle, looks cute, but as the baby gets older, the crib is dropped lower and the dust ruffle lays on the floor. While they create a beautiful look in the room, if cash is limited, this is an easy savings. Specialty lamps and mobiles, are quickly outgrown. By the time I transitioned Libby to her crib, around six months, I became worried about the mobile becoming a choking/strangulation hazard. I get weird anxiety about safety issues. Any staple items that are “babyish,” like lamps, curtains, etc. Instead, I made her room, cute and baby friendly by incorporating colors. As she grew, I can easily add a toddler comforter set, big kid set, etc. My husband painted an old dresser white and we added adorable pink knobs. I picked up a huge oversize area rug. The thrift store had two matching lamps, that I am going to spray paint light pink (it’s a postponed project). A convertible crib is also nice because you get more bang for your buck. Most convertible cribs go from a crib, to a toddler bed, to a full bed. Who wants to think worse case scenario? No one. But it’s necessary for the well being of our kids. A worst case scenario plan includes life insurance, a Will, possibly a trust, and a plan for your children. I want to start by saying I would recommend seeking a professional for these items. There are sites that do this online for a fee, such as LegalZoom. I am not endorsing them, but it is an additional option. Depending on how complicated your finances are or your unique circumstances, you may find them beneficial and cost effective. However, I do want to touch on some important points. Term life insurance is usually the most cost effective form of insurance. Mainly because you would by a policy for a term, say 10 years, and for say $300,000. At the end of that 10 years, the policy expires. The importance of life insurance is so your family is provided for in the event you no longer have an income coming in. Even if you plan to be a stay at home mom, it still makes sense to look into a small policy, like 30K. These include things such as looking after your kids, handling the finances and perhaps most importantly, a (family) grieving period. Secondly, it provides money for funeral costs. A will or trust will dictate how your money is allocated. I would seek professional legal guidance to set this up correctly. For instance, it’s intuitive to list children as beneficiaries on a joint account. After all, if you and your spouse are on a joint account, with your kid(s) listed as a beneficiary, it seems like you have your bases covered, right? Not really, or at all. If your child is a minor, it could mean there are some major complications. In most cases, minors can’t inherit money. A guardian has to be appointment by the court. Which can be timely and expensive. Who will look after your children in the event of something happening to you or your spouse? Knowing this will help make sure your kids are taken care of with the minimal complications. Meaning, you may have discussed this with a friend or family member, but without naming a guardian in your will, it could result in someone else’s petition for your children, or worse they end up in the system while affairs get sorted. Here is a great article from Baby Center that goes in depth about how to choose a guardian for your child. Mom to mom sales are a great way to pick up gently used items at a FRACTION of the cost. Stock up on baby freebies. I would definitely recommend taking formula samples from the hospital. Even if you plan to exclusively breastfeed, you may find you have supply issues(I did). It’s a relief knowing you have a way to feed your baby. 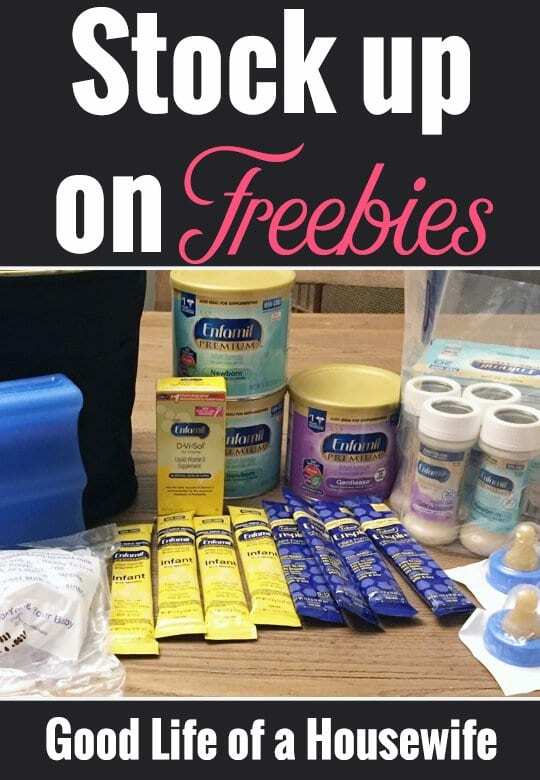 If you do plan on formula feeding, then stock up on freebies. Check with your OBGYN, Hospital, Pediatrician, and of course, the manufacture’s website, who is sure to have a “starter” kit packed with samples, coupons, and other goodies. Ah, groceries, how you destroy our budget so. Mastering your grocery budget is going to be an easy way to give you tons of bang for your buck. 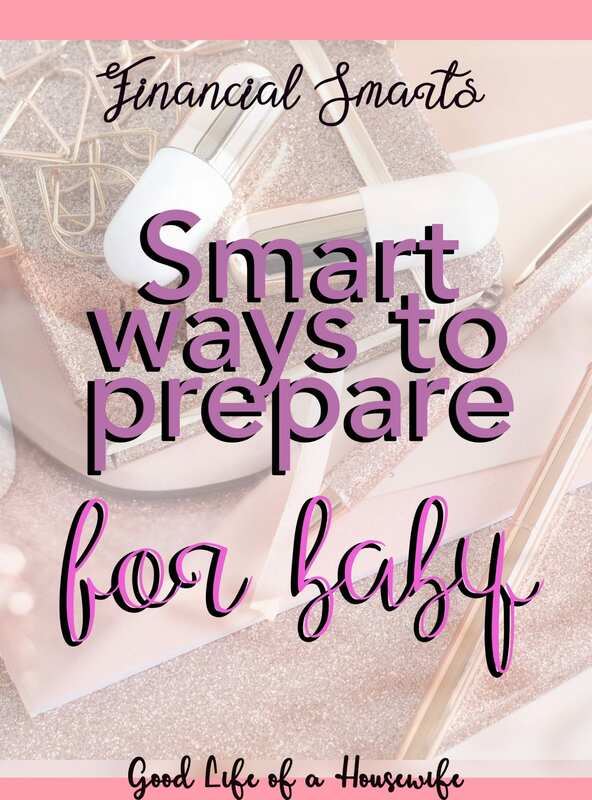 Outside of evaluating all of your bills, this is one of the next best ways to prepare financially for a baby. It’s effortless to drop a couple hundred at the grocery store without even realizing it. Over the course of the year, thousands of dollars pass through your fingers. It’s easy to justify the expense because you need to eat. Add up how much you spend on food. All food. Going out to eat, coffee, impulse purchases at the gas station as a result of going in to grab a snack, your grocery bill. Here are 49 Ways to Save Money on Groceries & Food to help you reduce your food budget. Meal planning is also another way to help you save money and avoid food waste. 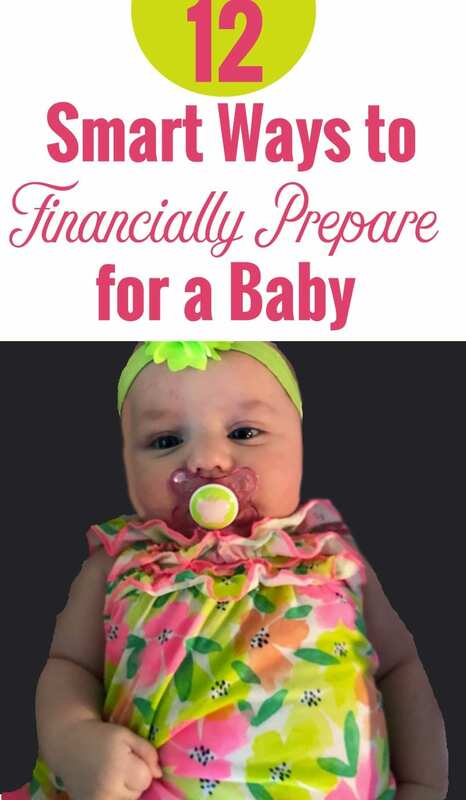 How are you/do you financially preparing for a baby? Leave it in the comments below! I have always been horrible at really analyzing my bills. I just figure it is what it is. I’ll definitely take the time now to see what is coming in and out. Also, looking at what I really need and don’t. Those movie channels are a go! Thanks for the advice. I am glad to help Kylina! 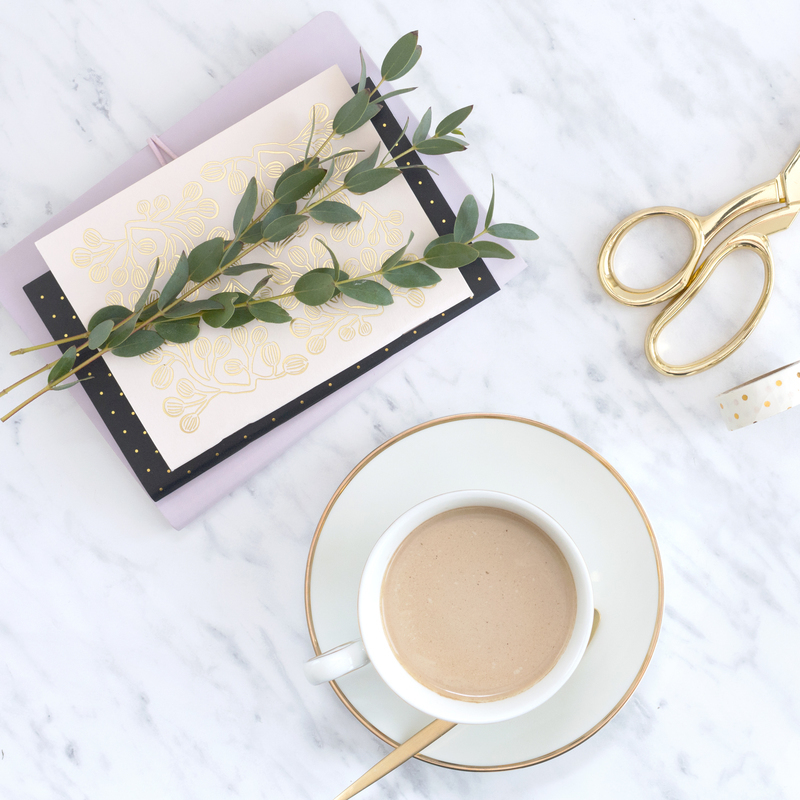 I love analyzing bills and finding ways to maximize the budget. I am glad I can share. If you have excel, this is another easy way to keep track of bills. I keep all of mine there. What’s nice about excel is you can just copy and pasted your bills each month. I make two identical columns with the bill price in both columns. Once the bill is cleared or paid, I just put a zero. It’s easier then writing them down. It’s easy to add a bill. You can really see where your money goes!